Located in Sainsbury’s in The Quardrant, our Redhill centre will be an essential education hub for children from all backgrounds looking to build on their skills in maths and English. 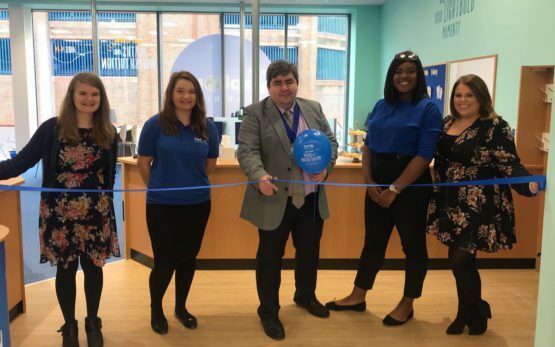 The Local Mayor, Cllr Frank Kelly, joined the team to declare the centre officially open at a ribbon cutting ceremony. We’ve already had a lot of interest in the centre and have received hugely positive feedback – in fact, we’re fully booked for free trials until the end of November! Explore Learning Redhill provides a unique and personalised approach to maths and English tuition. Mapped to the National Curriculum, all work is tailored to every child’s individual strengths and areas of development, which means that tutors are able to support them closely, both to support and to stretch them. Charlotte, Ima and Samantha would love to meet new families – book your free trial today to find out more!